SilverStar® halogen headlights create a whiter light with more downroad that will enhance your overall experience on the road at night. The combination of down-road, side-road, and whiter light achieves more clarity during nighttime driving. More clarity improves contrast and makes it easier to see objects on and along side the road. SilverStar® has a specially designed filament, propriety halogen gas mixture, and a unique lamp coating that shifts the color temperature towards a whiter light. 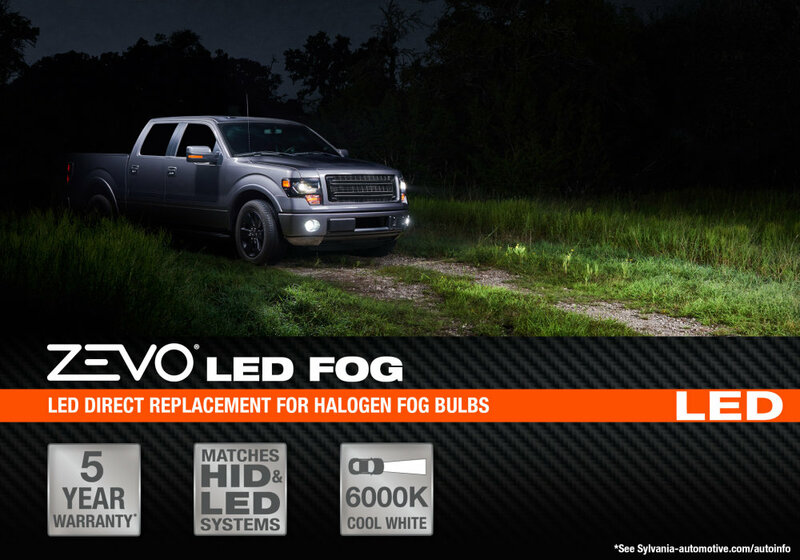 Looking to update your vehicle with super bright, white LED fog bulbs? Choose our long lasting ZEVO® LED bulbs to improve the style and safety of your vehicle. Looking for a High End White Light to improve the style of your vehicle? zXe® GOLD is our premium choice for those wanting the attitude of HID without the costly conversion kit. Looking for a headlight where style meets performance? 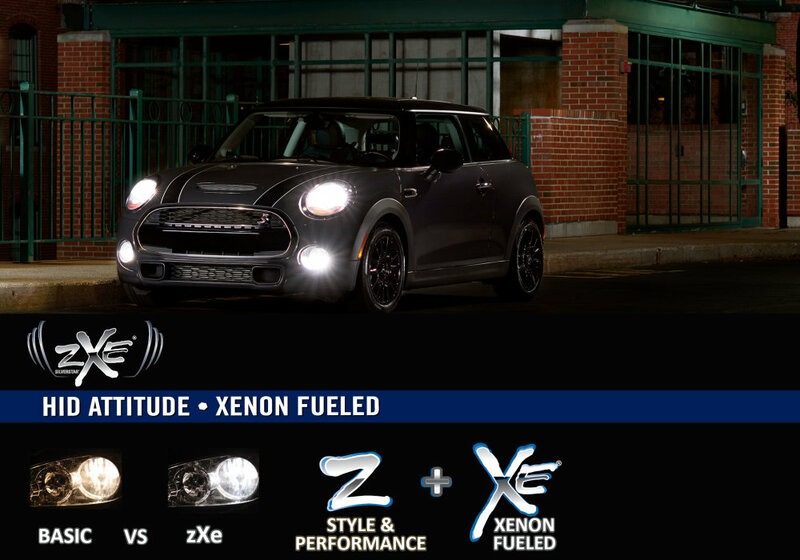 zXe® offers a much whiter light, similar to the look of HID, for an ultra cool style. Looking for a bulb that gives you ULTRA Night Vision? 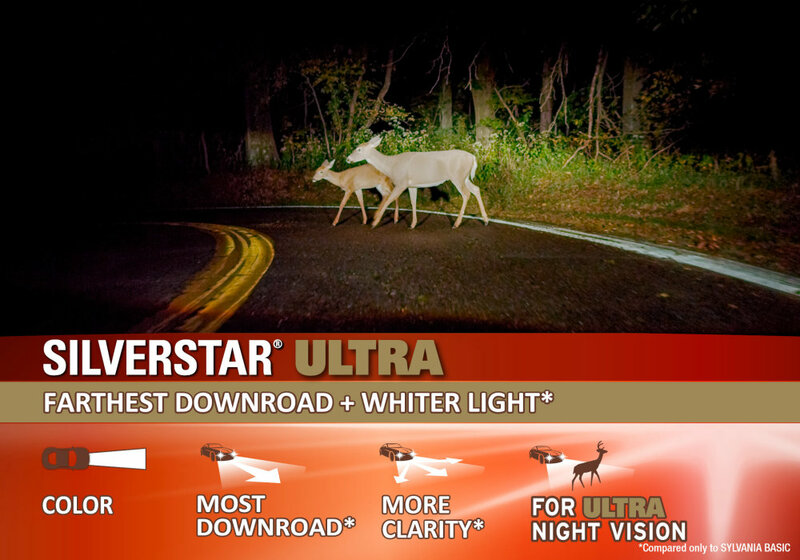 SilverStar® ULTRA offers the farthest downroad performance plus whiter light for improved clarity. 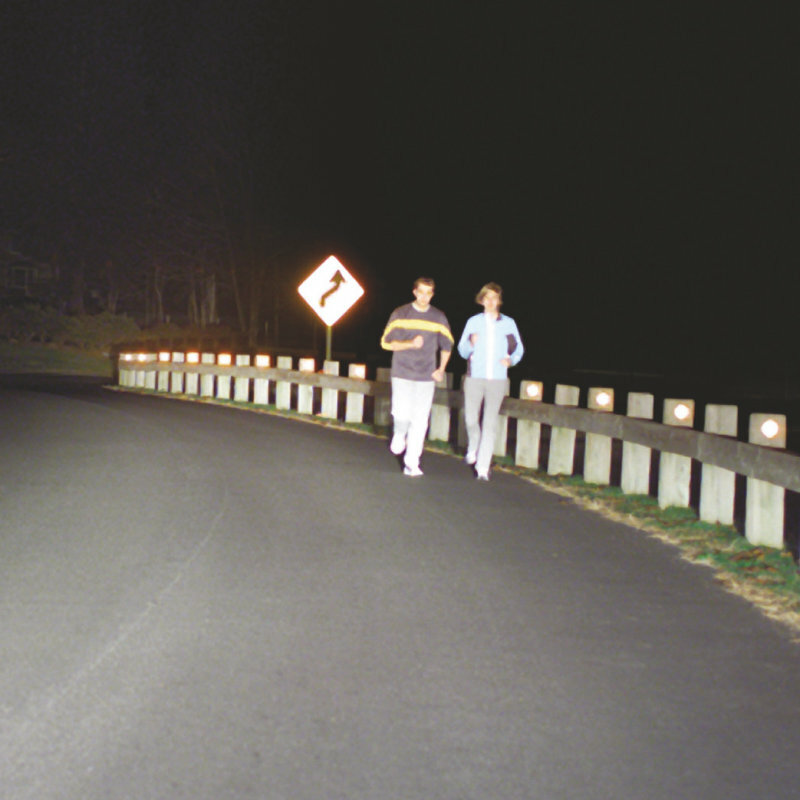 Do you want to see better when driving at night? 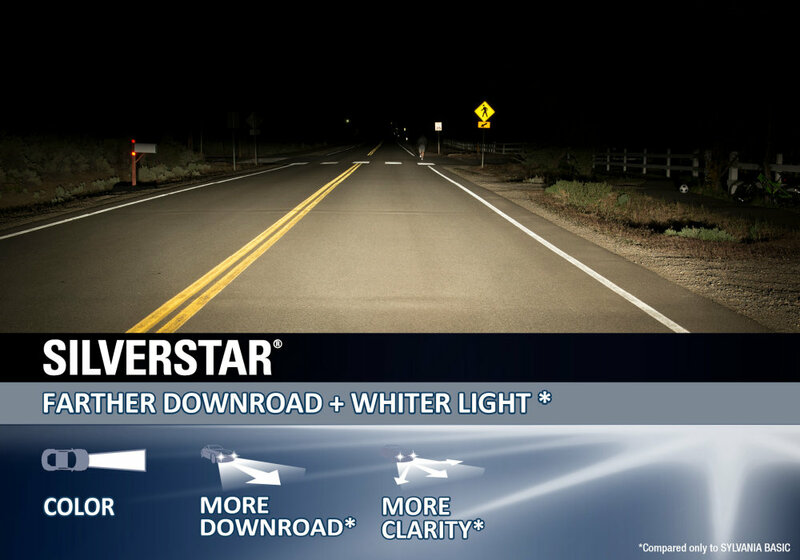 SilverStar® offers brighter & whiter light for better downroad performance and to help improve clarity. 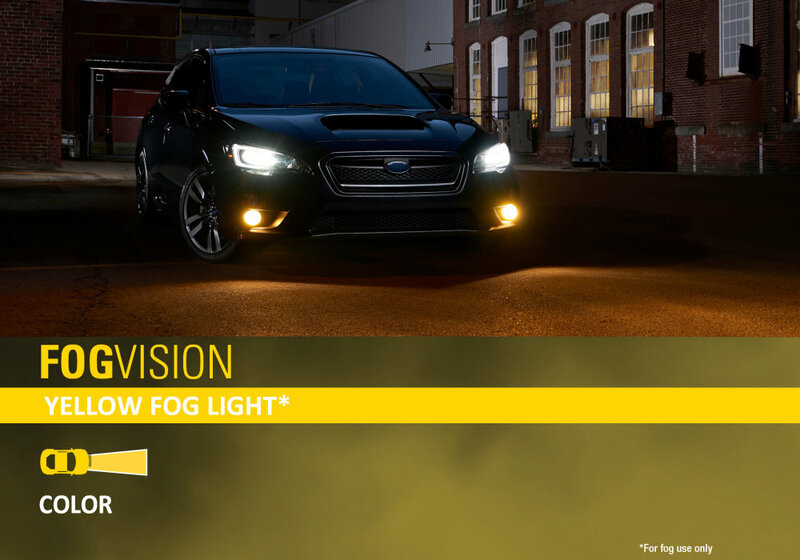 Our yellow fog bulb is street legal, and offers the perfect combination of functionality and style. Looking for a step up from your OE replacement bulbs? 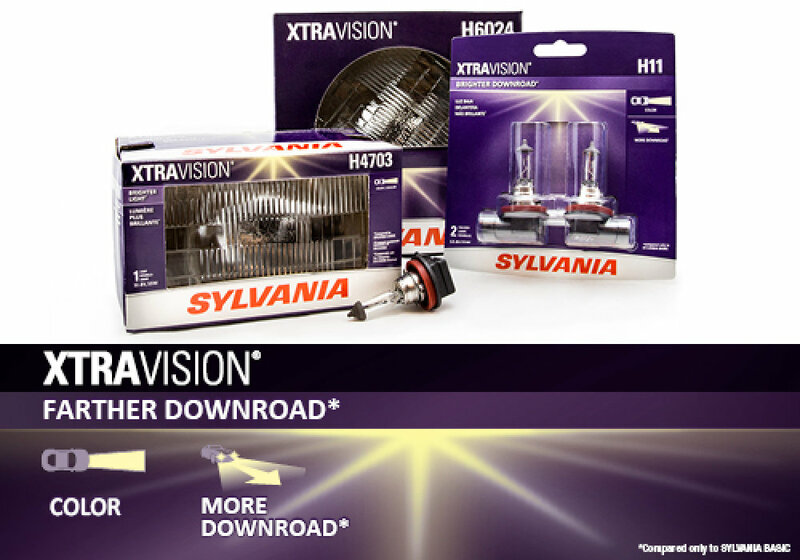 XtraVision® offers brighter light for better downroad performance. 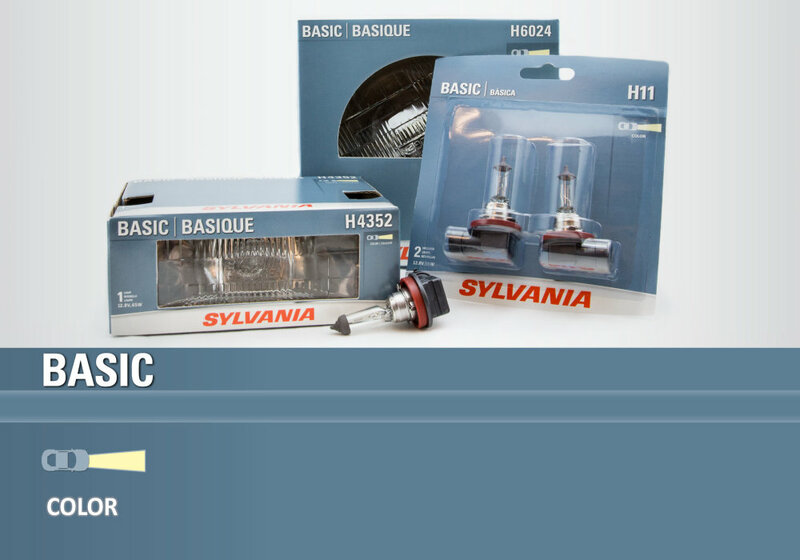 The SYLVANIA Automotive Basic halogen headlight is designed to meet DOT regulations for performance and life.